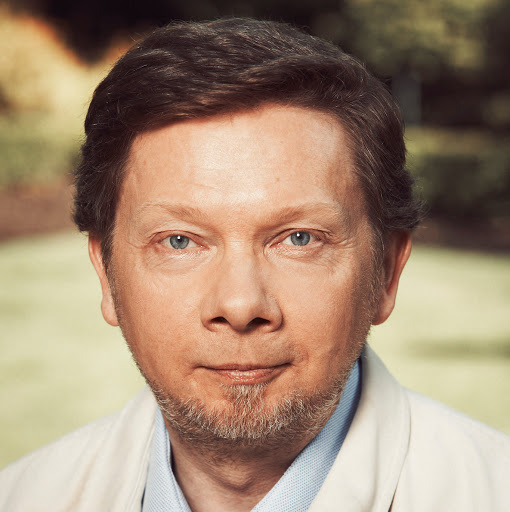 Eckhart Tolle is a giant of modern western spirituality and philosophy. 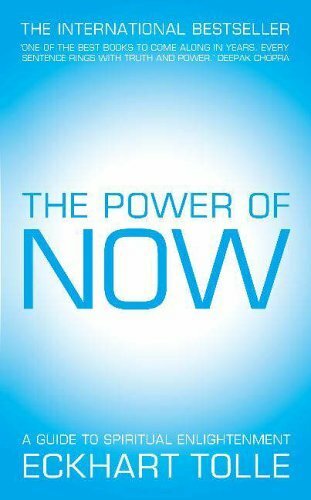 His international best-seller ‘The Power of Now‘ was first published in 1999 and is still widely read and admired. For some reason i had not read it until about two years ago. Some things I cannot explain, perhaps the time was not right for me. One of my friends in philosophy class strongly recommended it and i was enthralled within pages. More friends have benefited from my encouragements to read it, and so the circle expands. Like all such famous books with a spiritual dimension, reviewers either love it or hate it, give it ten out of ten or one out of ten. Diversity is one of the characteristics of our universe and our species. Remember peoples’ opinion of Scott Peck’s ‘The Road Less Traveled’ was equally divided. Typically, what some people love about a book is the very thing which draws hatred from others. Take the question and answer format of ‘The Power of Now’; readers either find it most useful and inclusive or arrogant and down-putting. Self-help books are one thing, people take them or leave them, but throw in a spiritual dimension and emotions become engaged. That probably tells you something in itself, why is spirituality so controversial? I guess there’s no such thing as the Universal Prophet, appealing to all. Tolle emphasizes the singularity of spiritual teachings down through the ages by quoting famous spiritual leaders such as Jesus and the Buddha. We are being told the one message, he reminds us. You remember Scott Peck in ‘The Road Less Traveled‘ told us the same thing, he said, “One way or another, these concepts have been set forth before – by Buddha, by Christ, by Lao-tsu, among many others.” Scott Peck like Tolle after him had arrived at the same conclusions by different, modern, pathways. Peck commented on his book that, The originality of this book results from the fact that I have arrived at their same meaning through the particular individual byways of my twentieth-century life”, and he advised us, “If you require greater understanding than these modern footnotes have to offer, then by all means proceed or return to the ancient texts. Seek greater understanding, but do not expect greater detail”. That is what we are doing, seeking greater understanding. We have heard, already, from other authors, such as Mitch Albom and Morrie, of the barren desert we travel through when we seek happiness and peace externally. The Joy of Being; you can nearly feel it in the words alone. This joy is obtained through stillness. It can creep upon us unexpectedly, even, perhaps especially, as we go about some ordinary daily chore; it has visited me while i carried out household chores, working in the garden, peeling an onion as i prepared dinner. We discussed in our philosophy class just how happiness felt, we struggled to find words to describe it. Peace, contentment, satisfaction were some of the words used but ultimately we felt that they fell short of describing this happiness which arises from inside, which emerges at times of quiet and stillness. Bliss was the one word we finally agreed on, trying to find words which described ‘beyond happiness‘. A feeling that you could not possibly be more happy, no matter how your circumstances changed, no matter where you were or in whose company you were, ‘peak happiness‘ might be a useful modern-day term for it, except that it really is beyond happiness. That I was blessed and could bless”. I wish i had had that poem to hand when we were discussing this topic in the Practical Philosophy class. So grasp that joy, that bliss, be still and feel it within you. Calm your body, calm your heart, still your mind, and feel it, feel it there, within you, where it always is, waiting for you. That stillness, that calm, is capable of converting all emotions into bliss. Be still, become aware of that line within you, like the edge of a cliff. Your emotions may be like raging torrents, but be still and feel them plunge over the edge, over the cliff, into happiness, into bliss. That is the only divide, the only separation, that cliff edge in your consciousness, between unhappiness and joy, between the ordinary and the extraordinary. Feel how close they are, how similar, it is only a line that divides them. Fear will prevent that line from being crossed, will try to hold back the joy, like a dam blocking the flow of a great river. But stillness can dissolve your fear too. Expose your fear to the light, to awareness, and it will dissolve, and your emotions will flow into joy. Be still, be happy, Be.